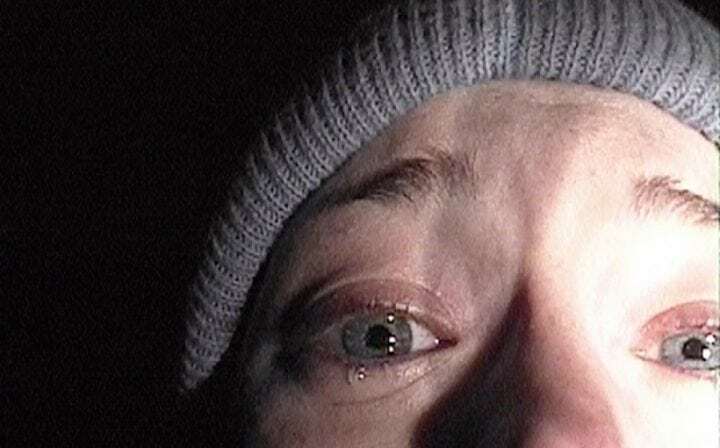 10) The Blair Witch Project – Starting off the list is one of the first found footage films, a masterpiece with a relatively nonexistent budget. While the film isn’t all too terrifying on its own, its use of realism brings on the fear by centering around a group of student documentarians who try to shine light on the Blair Witch, a fictional homage to the lore surrounding the Salem Witch Trials. Viewers who are unfamiliar with the project could easily confuse this with an actual documentary, shot in such a way that is extremely unconventional to cinema in general, with a lack of dramatic elements that create a feeling that everything on screen is as real as an actual documentary. 9) A Nightmare on Elm Street – Wes Craven, in his early career, easily gained a reputation as the king of blood and gore. 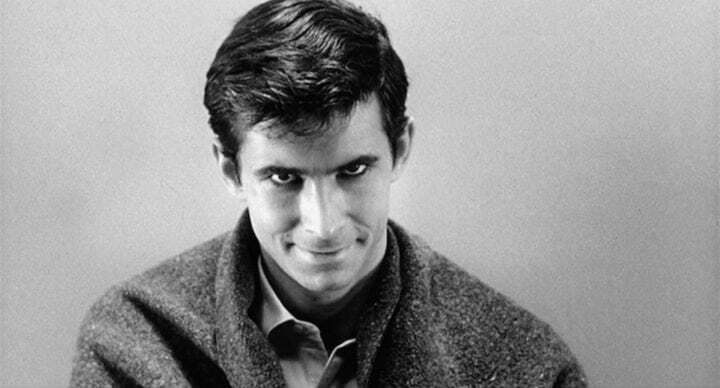 In addition to creating a cult classic, Craven invented perhaps the most well-known horror franchise of all time. “A Nightmare on Elm Street,” as well as Craven’s other popular works, is a fun, gory mess, which helped to establish the slasher genre, and gave us one of the greatest monsters in all of cinema. 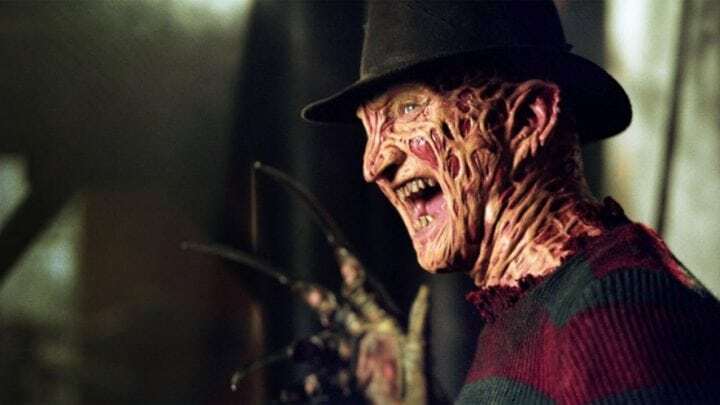 Anyone who’s ever been afraid of the dark or had an imaginary boogieman under their bed will instantly be terrified of the nightmare monster Freddy Krueger, in one of the few monster movies that’ll actually make you feel sympathetic for the antagonist. 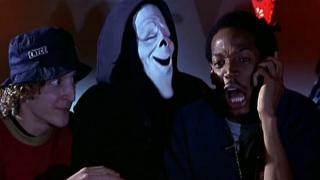 8) Scary Movie 1 and 2 – Well, they can’t all be terrifying. “Scary Movie,” and its first sequel, “Scary Movie 2,” are easily the two best films in the franchise, and are looped together simply because it’s difficult to pick just one to watch. Both films show the comedic brilliance of the Waylon Brothers at the height of their career, as they brilliantly deconstruct some of the most well known modern horror films, with “Scary Movie” acting as a “Scream” parody and “Scary Movie 2” taking strong influence from “The Legend of Hell House.” While using a less than mature style of gross-out and overtly sexual humor to poke fun at a variety of truly awful horror films, both movies are a great way to mellow out and get a few laughs about the some of the more tried serious films in the horror genre. 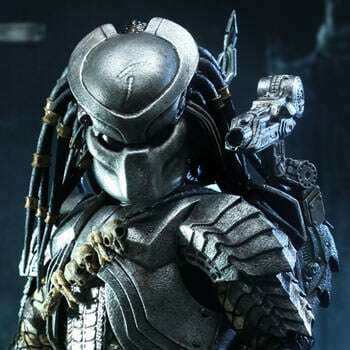 7) Predator – At the height of his career, action icon and former California governor Arnold Schwarzenegger turned out his second best film. “Predator,” a film that depicts the brutality of war and the fear of, in an obvious anti-war message, portrays soldiers of an unknown war fighting to stay alive against a creature of superior intelligence, strength and agility. “Predator,” without giving too much away, depicts the rigidness of the human spirit, and explores the things we will do to stay alive. 6) The Shining – Arguably one of Stanley Kubrick’s greatest accomplishments, “The Shining” is the the film that modernized the genre of psychological horror. 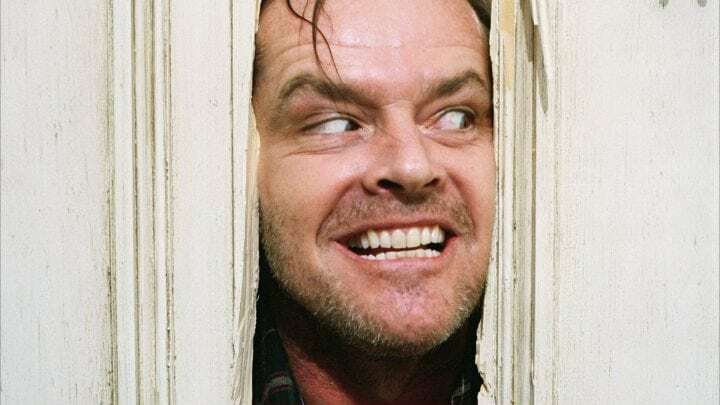 “The Shining” exists as a character study of Jack Torrance, played by Jack Nicholson as he slowly goes insane. Based off the best-seller by Stephen King, “The Shining” won’t terrify anyone who wants a casual viewing experience, though anyone who’s new to the world of horror will fall in love with all the now-iconic shots of twins, blood pouring from an elevator, and use of steadicam in tracking. It exists not to scare, but to make the audience uneasy, through use of impossible set pieces, and an obscure plot. As one realizes madness can happen to anybody, and that all work and no play makes Jack a dull boy, one will wonder how horror in cinema ever had existed without the brilliance of Kubrick. 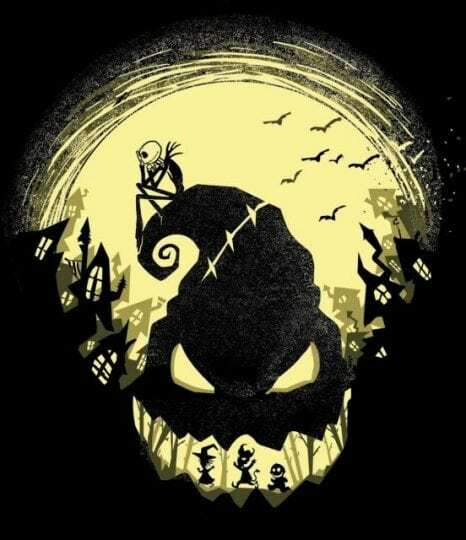 5) The Nightmare Before Christmas – Whether you fall into the “this is a Christmas movie” camp, or recognize it as one of the few family-friendly horror classics, it’s hard to argue that Tim Burton’s “The Nightmare Before Christmas” is not only one of the creepiest kids movies ever created, but also one of the few that can combine a truly original story with one of Danny Elfman’s greatest compositional work. “The Nightmare Before Christmas,” like many of Burton’s other films, has an inherently creepy tone, and brilliant use of stop-motion animation, similar to that of Burton’s “Corpse Bride” and “Frankenweenie,” as well as, Henry Selick’s “Coraline” and “James and The Giant Peach” – Selick of course, was the director behind “The Nightmare Before Christmas,” as well. The film, for those who are unaware, follows the self-proclaimed “King of Halloween Town,” Jack Skellington, as he tries to bring the joy of Halloween to another holiday themed village, Christmas Town. It’s an eerie, yet beautiful journey that’s fun for children of any age… so yes, most college students, too. 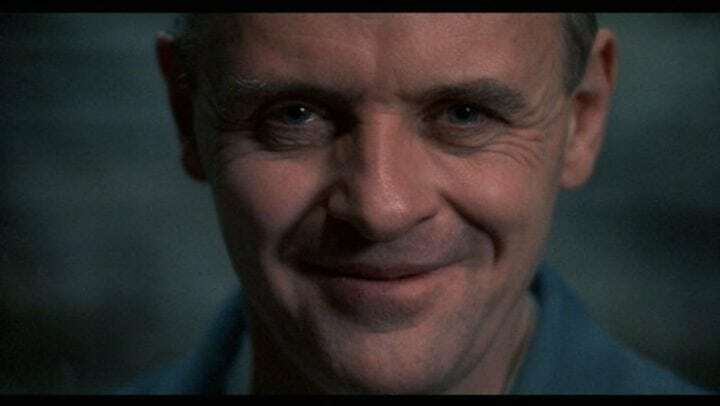 4) The Silence of the Lambs – Perhaps the most commercially successful entry on this list, “The Silence of the Lambs” is not for the easily disturbed. In his greatest performance, Anthony Hopkins portrays the brilliant psychiatrist and infamous cannibal, Hannibal Lector. Clarice Starling, an FBI agent assigned to finding and stopping a serial killer known only by the name Buffalo Bill, who, as his name suggests, skins his victims, using their skin as extravagant clothing, seeks the help of an incarcerated Lector in stopping Buffalo Bill, after the murderer captures the daughter of a U.S. senator. 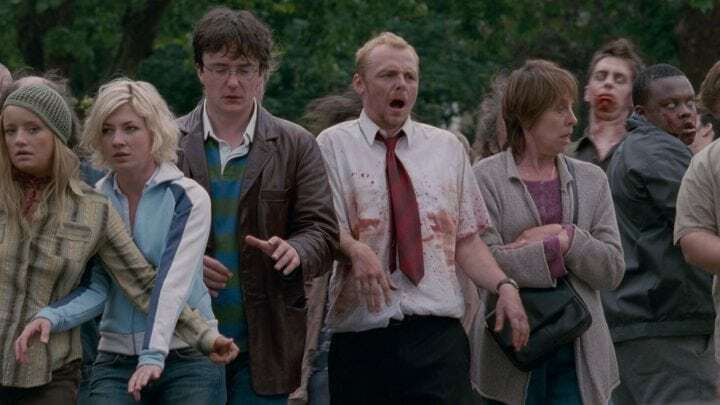 3) Shaun of the Dead – If you’re unfamiliar with “Baby Driver” director Edgar Wright’s most famous film, you’re missing out on something amazing. As the name implies, the film is a loose parody of George Romero’s seminal horror classic “Dawn of the Dead,” as well as the Zack Snyder remake, and satirizes the use of zombies in film as a whole. It follows the same visual style of comedy that Wright famously made use of in his later films, and stars Simon Pegg and Nick Frost in what became a major first role for both characters. Whereas zombies in Romero’s classic are clearly symbolic of consumerism in American culture, Wright’s version could be seen as representative of the monotony of daily life, with the lead characters literally hiding in a pub to get away from the undead, only to have them crash in and ruin their day. The film, in addition to analyzing the use of zombies in cinema as a whole, mocks the traditional helpless protagonist cliché in modern horror, while providing one of the most genuinely funny films of the last two decades. 2) Get Out – Jordan Peele’s directorial debut will go down as the best horror film of the decade, if not of all time. The newest film on this list, it should come as no surprise that “Get Out” is one of the few new horror films to not only make the user feel as terrified as the protagonist, Chris Washington, but also think about the conditions that Chris i subjected to, and consider whether the strange actions of the Armitage family are simply a subject of Chris’s paranoia, or something much more sinister. Peele’s work brilliantly takes apart race relations in America, showing how one side perceives the other, making the user feel uneasy about the black lead character Chris and his situation of meeting his white girlfriend’s family for the first time. 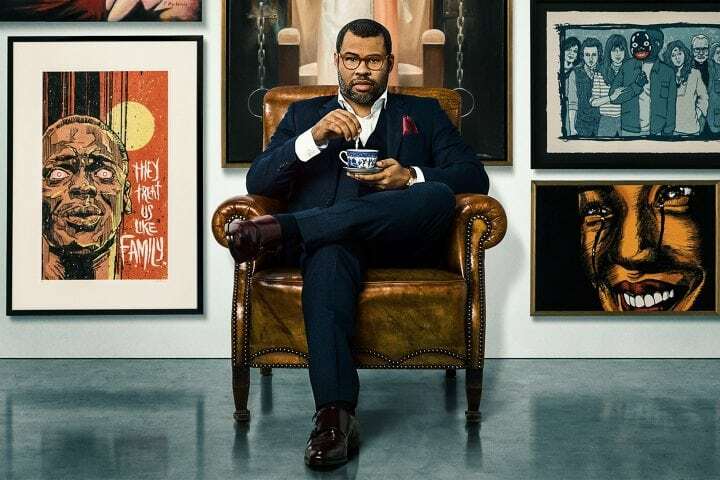 It’s hard to discuss how exactly Peele subverts expectations without ruining the premise of the third act, though one cannot express enough precisely how unhinged one feels by the end of this film. “Get Out” is, without a doubt, a modern masterpiece. 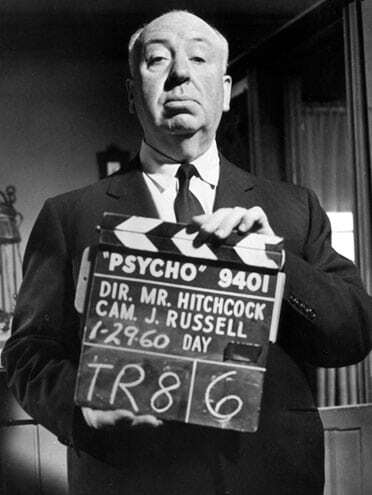 1) Psycho – Without a doubt, Alfred Hitchcock created one of the most enduring and brilliantly constructed horror movies ever made. Between the famous shower scene, and the buildup to the now universally known twist ending, one can say, without a doubt, that Alfred Hitchcock was the master of suspense. Even now, nearly 60 years after its initial release, Hitchcock’s vision is incredible, depicting one of the first examples of human psychosis on film, and pushing the envelope of what could be portrayed on film with his depiction of violence and sexuality. In following the criminal actions of Janet Leigh’s character, Marion Crane, and the ensuing investigation by Crane’s sister, the audience, if unfamiliar with the ending, can’t help but wonder what could possibly drive a seemingly harmless elderly woman to murder a seemingly innocent young lady. The twist, which I won’t ruin for the two people reading this article who haven’t seen “Psycho,” puts new directors like M. Night Shyamalan to shame. It is without a doubt, not only one of the greatest horror movies ever made, but one of the greatest movies ever made, as well.